When you decide to buy Playa del Carmen real estate, there may be more variety in location options than you realize. The following are a few of the main location styles that you might consider. One of the first options people consider and are exposed to is the downtown beachfront. This area is defined by low-rise condos overlooking the sandy, white beaches and the turquoise Caribbean, surrounded by shopping, dining and entertainment options in town that has more of European flavor to it that most tourist towns in the New World. Everything is within walking distance. These condos also have very good rental potential since this is one of the area’s vacationers most want to be in. 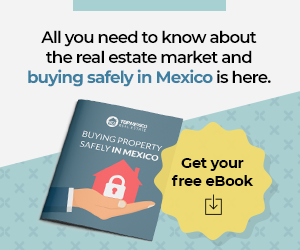 The rival for popularity is resort beachfront real estate, since many visitors arrive directly to the resort, and, if the resort they stays on has full ownership condos or even homes, it is likely they will be exposed to them. These are also attractive because of the direct access to full resort amenities, like restaurants, spas, sports facilities and waterfront activities. There are also many beautiful gated communities with full security, bike trails, green areas and basic services. Many people enjoy living in these communities for a quiet lifestyle and an image that is very well taken care of. These can be very close to the beach or further back; many are also close to shopping centers. Those just a little further back from the beach can offer a very upscale lifestyle for surprisingly low property prices for homes and condos. These are very similar to the gated communities with the added advantage of having a golf course within the community. Playa del Carmen is Latin America’s golf capital with 12 excellent courses, many of which are world-class design and quality. Homes and condos in these communities either include views of the fairways or are within short walking distance. There are a couple of options of originally working-class communities which are in a good location (e.g. near the beach or next to a new shopping center) and are now showing good signs of turn around. Properties can be bought for excellent prices and there are good options for those who like a renovation or building project. Some of these options overlap, and other options don’t fall into any of the categories mentioned here. Yet, these five location styles give a good taste of the variety available in Playa del Carmen real estate. 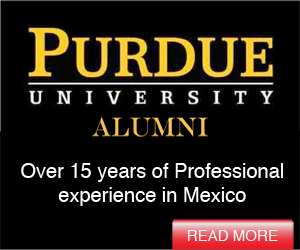 Region: Mazatlan real estate Thomas Lloyd graduated from Purdue University Krannert School of Management with a degree in Management/Financial Option Investments. 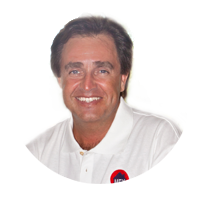 He has been living, investing, and working professionally in Mexico for over 15 years. 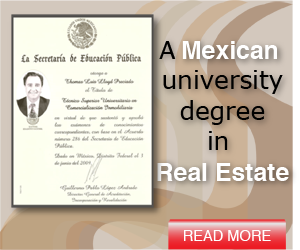 A Mexican Certified Realtor he is the current president of TOPmexicorealestate, you can contact him at (512) 879-6546.